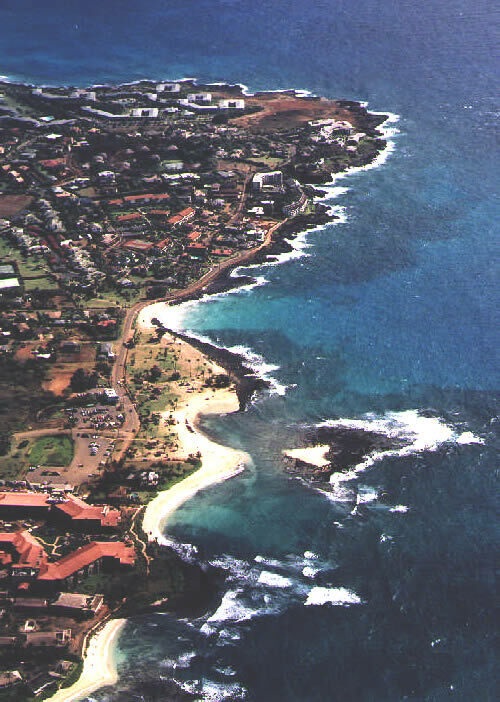 Kuhio Shores at 2500 ft. 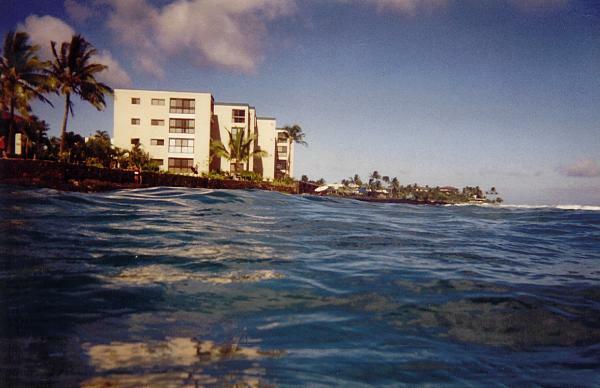 Welcome to Kuhio Shores, Kauai Oceanfront Condos with a beautiful ocean view, Poipu Beach, Kauai, Hawaii. 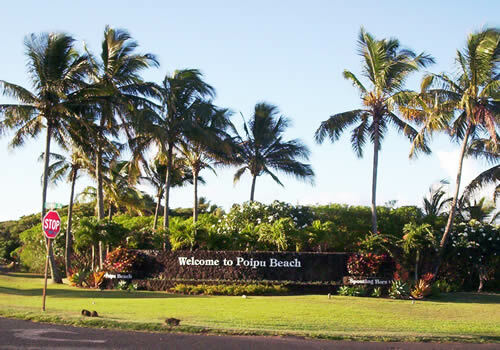 Stunning Pacific ocean seaside vacation rental oceanfront one bedroom condos at Kuhio Shores by Poipu Beach located on the Sunny South shore of Kauai, Hawaii. 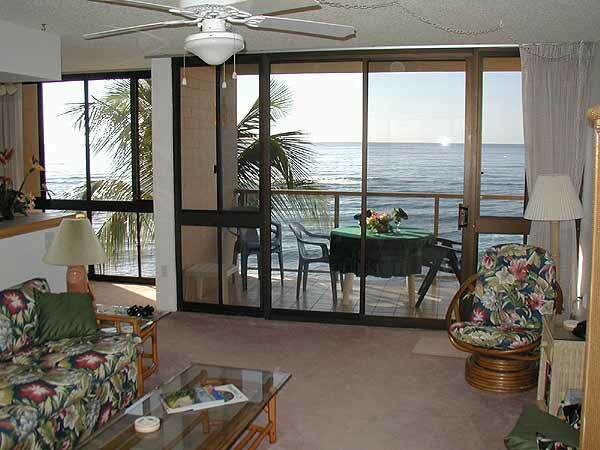 Featuring unobstructed views of sunsets, surfers, whales, turtles, dolphins and other marine activity. 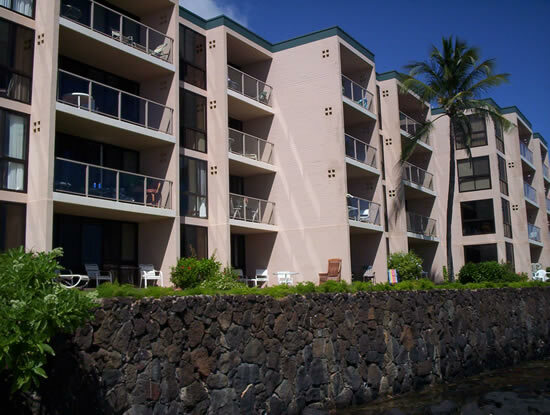 Experience the Aloha spirit and ambiance in our 1 bedroom, fully equipped, 830 sq ft, condominiums on the second and fourth floors of Kuhio Shores, excellent value vacation accommodations at their finest. 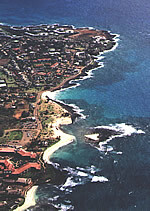 Your Poipu beachfront base for all the activities Kauai has to offer, from breakfast and dinners on the lanai, watching spectacular sunsets, listening to the surf, snorkeling all around the building, surfing, reading your favorite book on the beaches on either side of building, beachcombing, swimming with the turtles, golfing, and much more. in your own private tropical getaway location right on the ocean, our newly remodeled condos fit the bill. Use this link to request open dates. 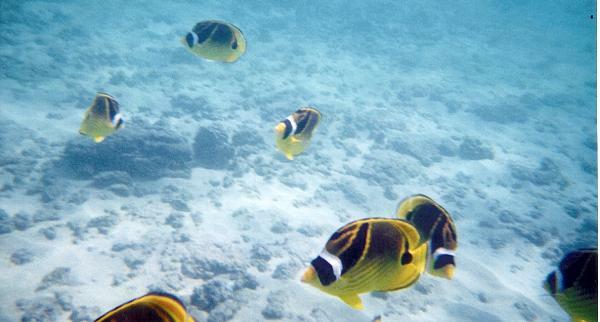 SNORKELING According to a study by Sunset and Hawaii Magazine, the reef in front of the condo that extends out 400 yards and then drops into the ocean is among the best snorkeling on Kauai. The maximum depth is approximately 30 feet. The crystal clear water of the reef is the home of giant sea turtles, beautiful tropical fish and at times seals and dolphins. SURFING Three of the best surfing spots in the Hawaiian Islands; P.K.s, Centers and Acid Drop, sit directly in front of the complex. BODY BOARDING Kauai Classic Body Boarding team, which consistently places at least three of its members in the top 10 of world body boarders trains directly in front of the condo at P.K.s. 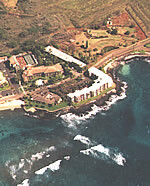 From your lanai or deck you can watch some of the most spectacular body boarding and surfing in the world. 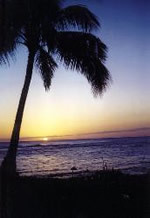 ROMANTIC SUNSETS You can watch spectacular sunsets from the condo, from the sea wall or from the lawn in front of the Beach House Restaurant. SANDY BEACHES Access to the reef is from two sandy beaches to the left and right of the complex. 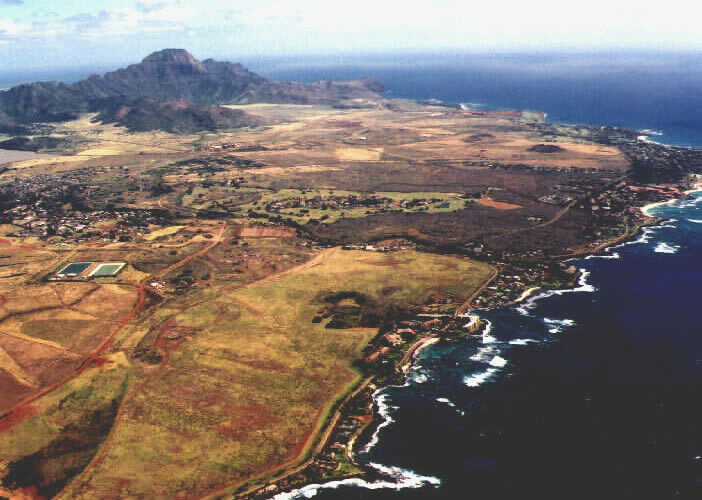 "Over the past 15 years we have made Poipu one of our most frequent stops. 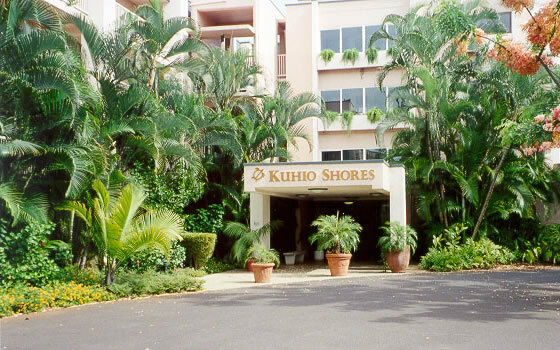 By all measures your Kuhio Shores condo has been the best!!! Thank you Galvins for a spotless attractive 10 day home. Well be back and probably send a few friends this way." "Your home has been ever so relaxing and comfortable. We've seen the turtles, a seal and surfers having a good time. Enjoyed Poipu bay so much. No matter where you are in this room you can see the beautiful ocean." 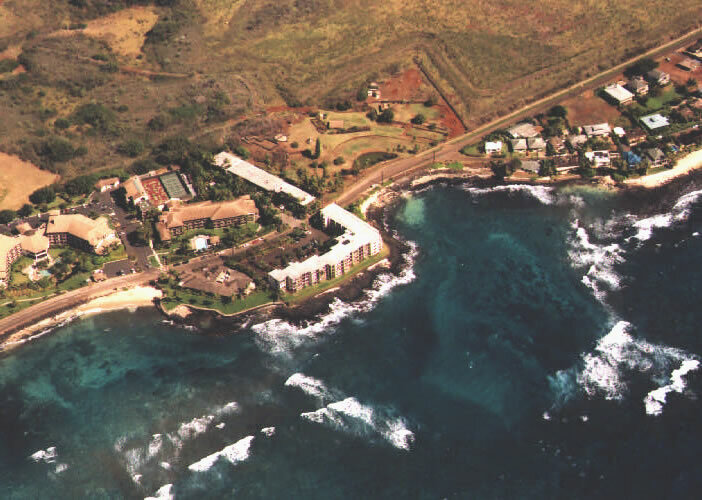 "As always Kauai has given us its best: lovely and friendly people, lots of sunshine, a couple of rain showers, lots of surfers just off shore here at the condo, lots of marvelous shopping, great food and last but not least, beautiful accommodations!" "Thank you so much for allowing us to share such a beautiful spot in an absolutely dazzling way!" "We had a wonderful stay at your place at Kuhio Shores. Its great just listening to the surf and the birds. What a awesome lanai! 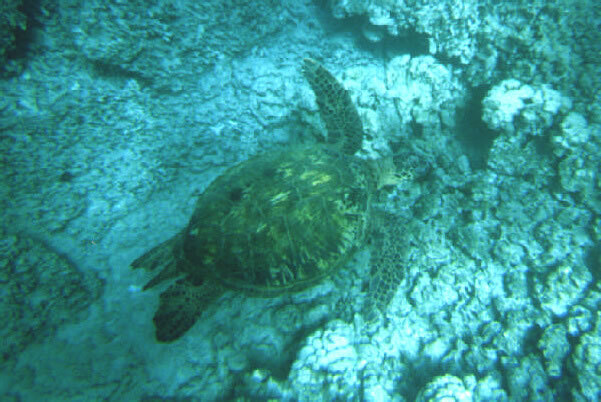 To be able to see whales breaching, turtles in the surf and dolphins frolicking all at once! The snorkeling was fun and ohh those sunsets. " "The sound of the surf lulled us to sleep each night, really enjoyed watching the surfers and the body boarders." "You've got an excellent place here.... snorkeling and surfing just outside the door was great"
"WOW! WOW! WOW! ... Too short! Too short! Too short! ... You are extremely fortunate to have found such a dream condo. Thanks for making it available. We had a magnificent time." "The view in this place was even better than we imagined. 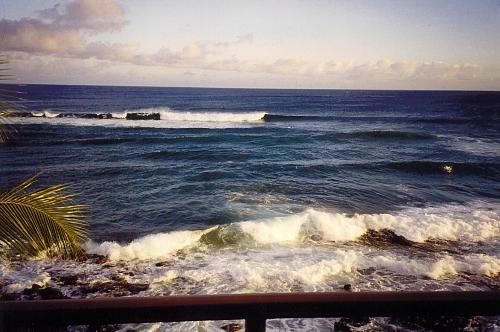 Watching the surfers from the deck provided hours of entertainment." "The condo is great. We have probably taken more photos from the lanai than anywhere else! If we were to own a vacation home this is what we would have in mind." Tax: 13.42%./ Damage Deposit: $150. Inquire about monthly rates and car rental specials.  Thank you for visiting our Web site, we hope you can visit our island with us soon! !